Our small groups are the primary pathway for you to build relationships with others at Harvest, to be cared for, to use your spiritual gifts, and to grow in your walk with Christ. Small groups typically meet once a week in host homes in various neighborhoods all around the city. A typical small group meeting consists of a time of Bible study, prayer, mutual ministry time (men with men, women with women) and fellowship. The biblical curriculum is common to all groups and is usually based on the weekend teaching. Meetings are approximately two hours in length, and each group has a leader, an apprentice leader as well as 6-12 members.There are small groups that meet on various nights throughout the week, and one that is close to you. If you would like to be a part of a small group we would love to help you find a great one. There are three ways to let us know you would like to join a group. The Register – Next Sunday just mark Small Groups on your Register page and we will be in touch. Connection Center – Stop by the Connection Center before or after service and a volunteer will help you get connected. 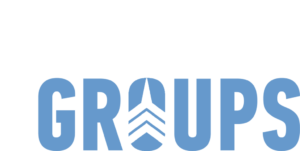 Website – Small Groups rock, so why wait? Use the button below to contact us now and we will get you started in a great new discipleship community. Harvest Small Groups are ongoing with new groups multiplying and starting at various times throughout the year. You do not have to wait for a new group to start. We would be happy to help you get plugged in to an existing group so you can start growing in Christ right away. Contact us now to get connected into a new group.